December 03, 2018 at 10:53 pm. 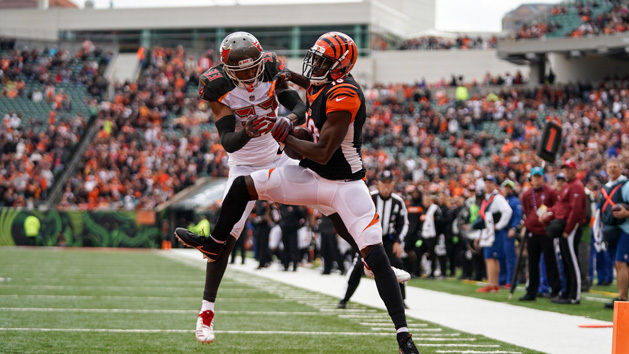 The Cincinnati Bengals’ injury-marred season is getting worse. A week after quarterback Andy Dalton was lost season for the season with a torn ligament in his thumb, his top target, A.J. Green suffered a season-ending toe injury in Sunday’s 24-10 loss to the Denver Broncos. “Last I looked last night, we’re not out of it,” Cincinnati coach Marvin Lewis said. “We’ve dug a huge hole and need a lot of things to work our way out, but maybe with everything else that’s gone against us, maybe we get some things to break our way. 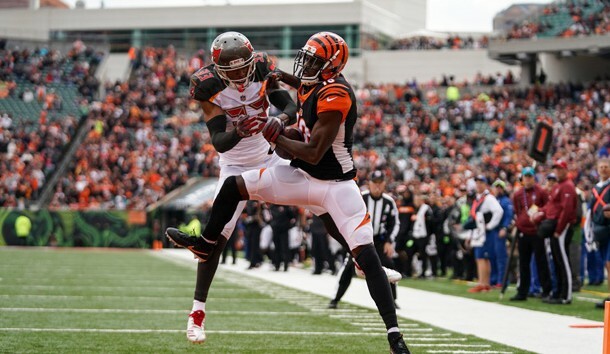 “We’ve gotten use to that,” Bengals offensive coordinator Bill Lazor said in a press conference about the latest injury to Green. Green’s absence for the rest of the season will greatly alter Lazor’s strategy. “Well, we planned as if A.J. was back,” Lazor said. “We assumed that not playing for a while he might need a break during the game at times, but we were going to plan and call the game like he was in there and then when he wasn’t in there the next guy would go in there and take his spot, which is pretty much what we did. –RB Joe Mixon is on the verge of getting 1,000 yards with the fewest carries by a Bengals running back since Ickey Woods got his 1,066 on 203 carries 30 years ago. Mixon is averaging out to 1,057 yards on 216 carries. In Cincinnati’s four-game losing streak, Mixon is averaging five yards per carry on just 12 carries per game. –LB Vontaze Burfict left Sunday’s game against Denver with a concussion. His availability this Sunday is uncertain. –CB Dre Kirkpatrick left Sunday’s game wearing a boot, but he returned to the field in time for Denver running back Philip Lindsay breaking a touchdown run of 65 yards. –WR Alex Erickson fumbled for the first time this season as a punt returner on Sunday. It was only the third time he has fumbled in 44 career games. –LT Cedric Ogbuehi, a former first-round pick, was deactivated before Sunday’s game against Denver. The Bengales moved LG Clint Boling to left tackle to face Denver Defensive Rookie of the Year candidate Bradley Chubb. Ogbuehi’s Bengals career is in serious doubt when his rookie contract runs out at the end of the season.